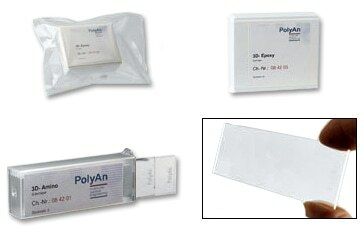 PolyAn is proud to offer one of the broadest product portfolios of microarray substrates on the market. 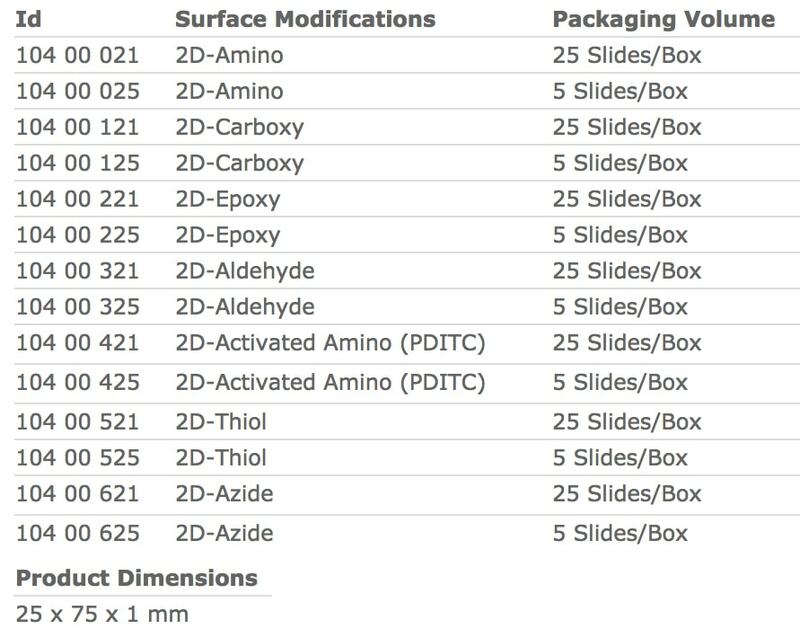 Our products include plastic and glass slides as well as functionalized 96-well plates for DNA-, peptide- or protein microarrays. Applications range from low density microarrays for diagnostic tests to ultra-high density arrays for pharma screening. The slides are produced with standard dimensions of 25 x 75 x 1 mm. Additionally, we offer customized slides and alternative glass formats with surface modifications tailored to your specific application. For cost-sensitive applications PolyAn has developed a range of 2D (2-dimensional)-reactive glass slides that are manufactured from high quality glass with an ultra-flat surface and low inherent fluorescence. The glass is coated with a thin silane layer that will covalently bind most types of bio-molecules. The defect-free surface features uniform silane layers that provide a high covalent coupling efficiency together with a very low background. 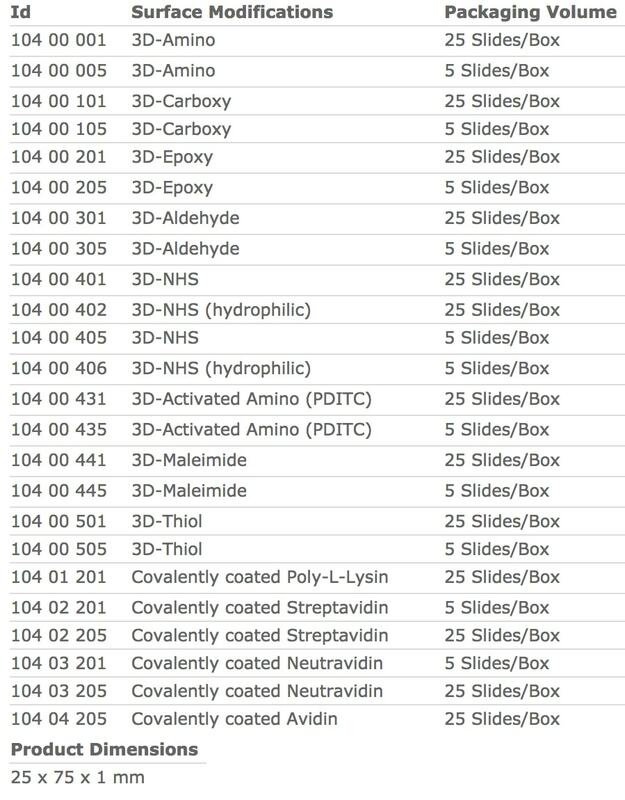 The slides are easy to use, and are fully compatible with all commercially available arraying and scanning instruments.